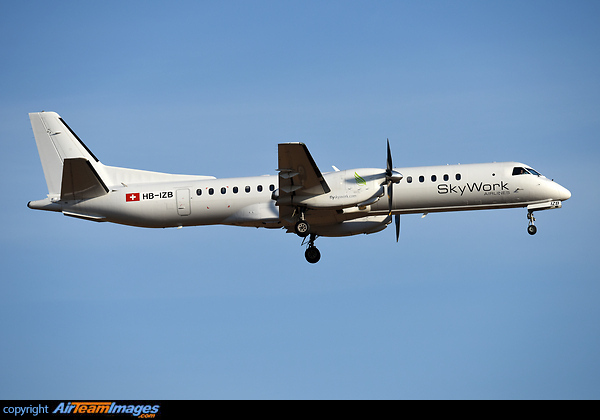 The Saab 2000 is a twin engined regional airliner based on a stretch of the Saab SF-340 aircraft. It was conceived to match the speeds of regional jet aircraft whilst retaining the efficiency of a propeller aircraft. The Pakistani Air Force are the only military operator using the aircraft in the Airbone Early Warning role. 2 x Rolls Royce AE 2100 (4152 - 4591 shp) turboprop engines.